Hopefully, you’re gearing up for the end of this year, and really starting next year with momentum. I’ve got a series coming up for you, over the next several months to help you plan for the next year, to really help you figure out what is on the horizon as a real estate investor, real estate agent, that I should be paying attention to. On this episode of the CarrotCast. I dive in with my guest, Dan Schwartz to talk about automation, we’re gonna be talking about how do you really gain freedom and flexibility and time-freedom from your business and with your business. And really, how to leverage systems better to close more deals, because you need to refine your systems in 2019 to get that edge, to get that advantage. If you have leads slipping through the cracks, and you’re not closing deals that you should be closing, you are going to be struggling in 2019. We want to help you crush it in 2019. It’s an amazing company, an amazing product. And they’re actually coming out with a completely revamped version of it, but in this call, we talk about time-freedom, how to really gain time-freedom. 2:00 – From living in an entrepreneur co-work space in San Diego to attend conferences… Where Dan has been working from recently. 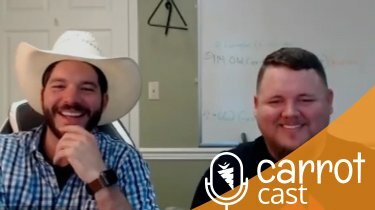 5:05 – Dan’s backstory and what his business looks like right now. 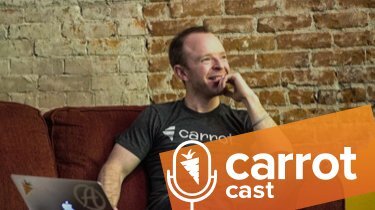 8:30 – Team + Automation = Time Freedom… What does this mean? 11:00 – Adding “vision” to the equation and why real estate investors can struggle with communicating “vision” with their team. 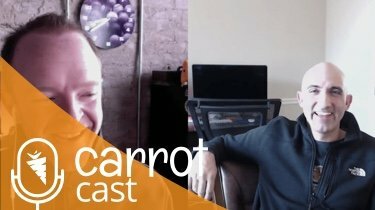 13:00 – What type of deal volume has he seen in the past 6 to 8 months and what type of marketing is working the best right now. 17:50 – Online marketing gives you the chance to differentiate yourself from the competition. Here’s why. 20:00 – Marketing cycle predictions for 2019. 21:40 – What should you be automating on the backend when a lead comes into your system. 25:25 – Creating a drip sequence to follow up with cold leads. 30:55 – What Dan found to be the struggle between Podio and InvestorFuse integration and why they’ve started to build a new platform. 36:55 – Learn more about InvestorFuse. 38:45 – Check out Dan’s new podcast, Real Estate Time Freedom.